Well…Soap and Glory once again have nailed it with presenting a gorgeous illuminator to the market. ‘Glow All Out' – Luminizing Radiance Face Powder is the perfect little addition to finish off your glamorous party makeup look. Soap and Glory's Glow all out promises to provide a super dewy finish and it certainly delivers!! Applying this to the top of your cheek bones and brow bone where the light would naturally fall really provides a beautiful luminosity to your skin. The effect this product gives is a gorgeously subtle and dewy sheen without looking sparkly or shiny as the powder is sooo finely milled and contains no glitter; hence being classed as an illuminator and not as a highlighter. Although this product is sold as an all over face powder, personally I wouldn’t advise doing so as the glow would be rather over the top. This product has been a staple in my makeup bag especially over the festive season and I don’t see it leaving any time soon!! Although it isn’t the cheapest being sold at £11 but it really gives the more expensive products of its type a run for their money!! 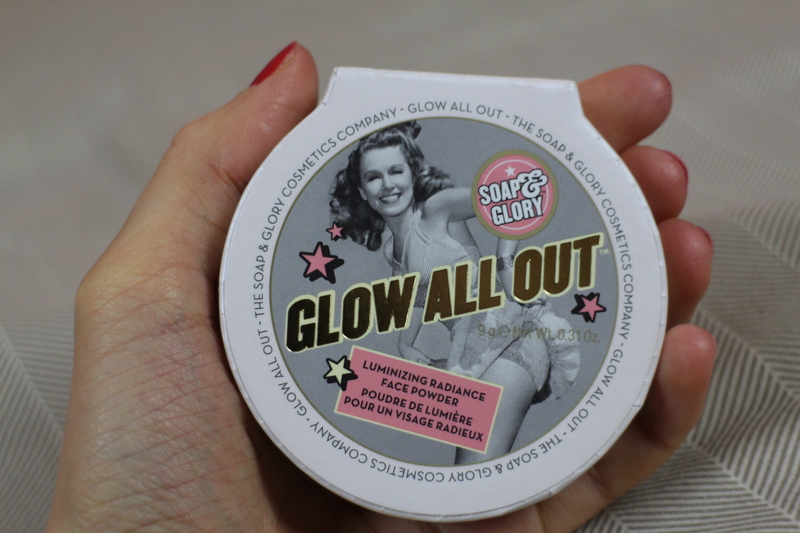 I hope you liked this Soap and Glory Glow All Out review and found it helpful. 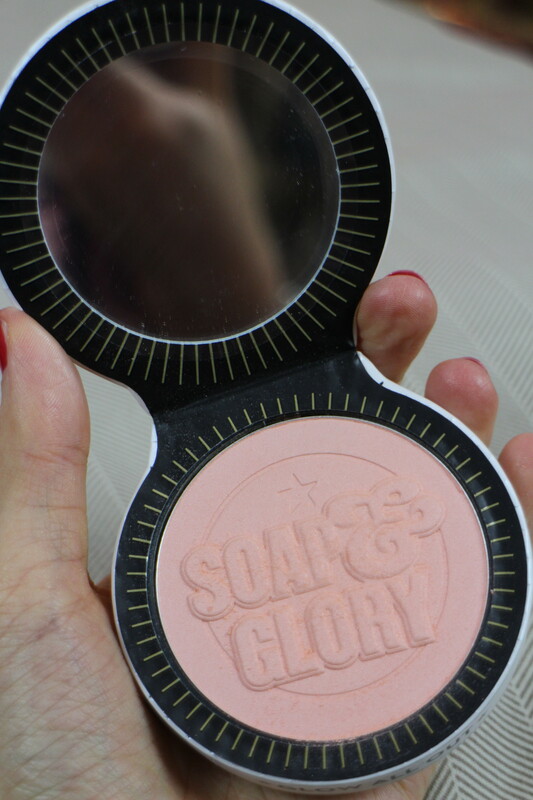 Have you tried any of Soap and Glory's makeup products? What’s your favourite? Previous Post How to style a Flippy Skirt! Next Post The Liebster Award! Yippee!